Ferrari LaFerrari at the 2016 FCA Fall Festival. 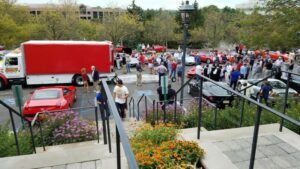 Our new transporter helped save the day at the Annual FCA Ferrari Fall Festival last year when the LaFerrari broke down en route to the show. One of our customers, who usually has a Ferrari or Lamborghini for us to wrench on, asked us if we would work on his beautiful 1928 Vauxhall Hurlingham Speedster. 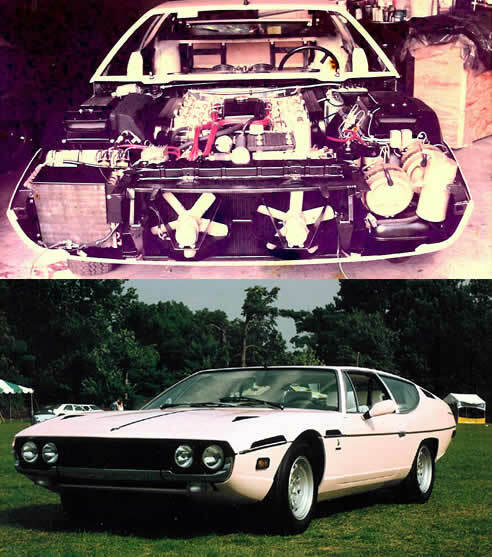 It just attended the October 20, 2010 Scarsdale, NY Concours d’Elegance and drove away with the “Best in Show” and “Best English Car” awards. 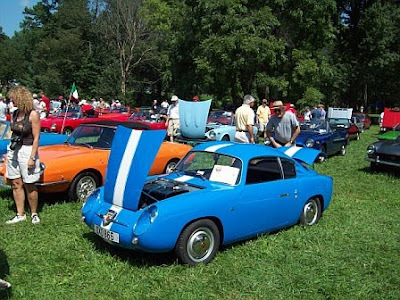 Following restoration we brought the blue ‘double bubble’ 1959 Fiat Abarth to the 2009 Fiat Freak Out national show in Valley Forge, PA. This 2-day 50+ year old Pennsylvania car show drew smaller crowds due to predicted rain on Sunday. We still had a great time and enjoyed running into old friends and meeting new car lovers.